My first away trip with the Tartan Army was on a football special from Edinburgh to Cardiff in 1985. It was a memorable trip for many a reason, especially the joker who thought it would be funny to smash our train carriage window on the return leg so he could sing at the Sassenachs going through every station on our homeward journey…I was bloody freezing. In the days before mobile phones, yes I was around then, we got off the train at Edinburgh Waverley to be told the news by a journalist from the Edinburgh Evening news that the great Jock Stein had died at the end of the match. 800 Foot soldiers in full voice suddenly became silent as the news spread. I was in the enclosure with my friends behind the dug outs and saw the commotion but never envisaged the outcome on what was to become a dark night for Scottish Football. Joining the Army shortly afterwards and posted to Germany, my trips and visits to Hampden became more sporadic. The Army gave me plenty of opportunities to sample foreign soils but not enjoy their spoils, and wee trips to the Middle East, the Balkans and across the water were beginning to end my relationship with the Tartan Army. 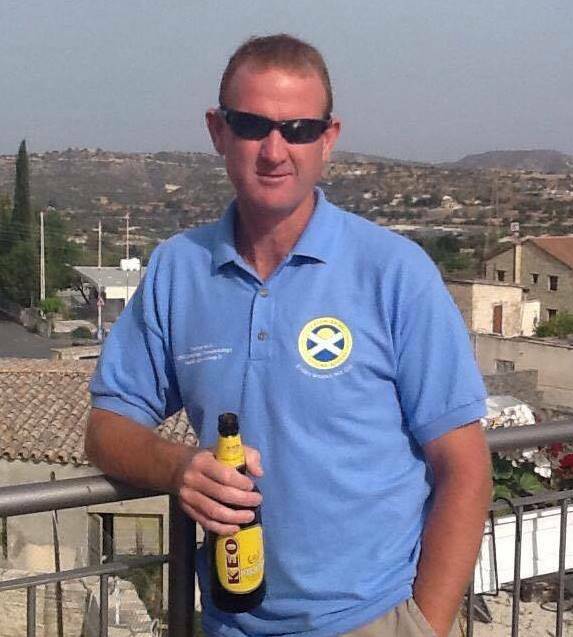 However, a 2 year posting in Edinburgh in 1996 helped me enjoy the qualification campaign for France 1998. When we qualified, I was in full planning mode to go, until the Army interfered in my football again and posted me mid-tournament. Ach well I thought…I will get to the next one!!! More tours of the Balkans resulted in being in the right place at the right time for the match in Sarajevo in 1999, although watching it dressed in uniform did not have the same panache as when in your kilt belting out FoS. Into the 2000s and more trips to the Middle East, the Balkans and Cyprus saw me only get to a handful of home and away games. Probably the most memorable 2 are the Italy game at the San Siro and the rendition of Doh a Deer after full time and a friendly against Austria at the then named Arnold Schwarzenegger Stadium in Graz…when my Mum saw me on the telly footage and texted me to say “You’re on the telly, shut your legs son”…..the joys of modern technology eh! 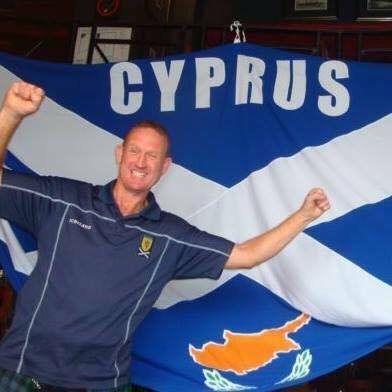 A posting to Cyprus in 2007 saw the formation of The Cyprus Tartan Army, which today numbers a grand membership of…well 1…me! The move here gave me more opportunity to travel and attend games. The biggest point I ever achieved was for the friendly in Japan in 2009. Larnaca-Heathrow-Tokyo, 50 hours in Japan then the same return leg. I got away with funding this trip from our joint bank account until my cover story was blown by a neighbour, who kindly informed my wife that I could not be at an important Euro qualifying match as Japan is in Asia….ach well she is a Geordie! It was around this time that my affection for what TASA were doing came to light. Here was a charity formed by supporters on behalf of supporters and nowhere near as corporate or money driven as another charity at the time that seemed to be constantly flogging t-shirts with not much feedback. Reading more into TASA and their choices of smaller, but no less important charities made me want to be a part of it, whether it was left over change, using TASA run supporters busses or playing their online prediction leagues or buying their merchandise, I knew that every penny I was contributing would be going to a worthwhile cause. The friendships I have struck up through travelling with the Tartan Army are second to none. The banter, the songs, the camaraderie…the room sharing!!! It is all part of the fun of planning trips and seeing who will be there and in which pub but the most humbling part of any trip is if you get the chance to go along to one of the TASA presentations. I challenge anyone to go and not have a lump in their throat or even a small tear in their eye as you see and listen to the hardship some of the kids are and have gone through. Their endless smiles and the gratitude from their charity patrons make any trip worthwhile…irrespective of the score on the football park. I encourage everyone to get involved and spare a coin or two the next time you see a TASA charity bucket. A little bit of ingenuity and planning and anyone can help the Sunshine Appeal. For instance, I looked into getting a 12 seater bus to go to the Slovenia game in Koper and ended up with 8 busses with nearly 400 supporters and on our first visit to Warsaw I arranged for 100 Foot Soldiers to visit the Warsaw Uprising Museum, even though quite a few of them were late and very worse for wear, (no names Finn & Wilson) it was a sobering cultural visit. 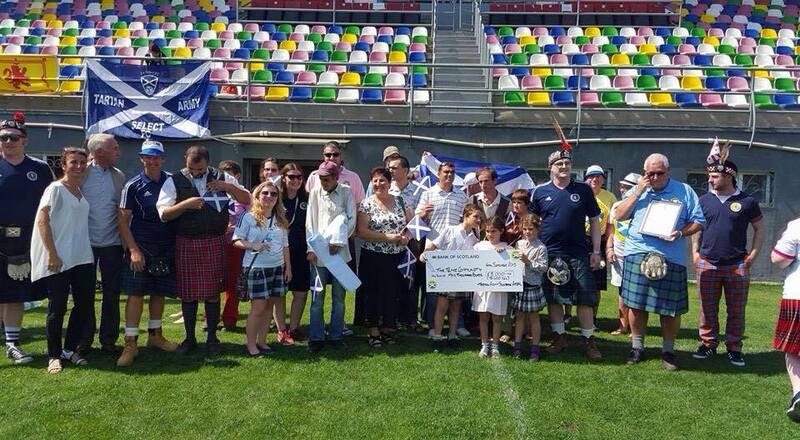 Using events and organization like this is how TASA thrives and we can’t thank the Steering Committee enough for constantly coming up with new and fun ideas to raise funds so that we can donate “Everywhere We Go” and keep up the great name of the Tartan Army as the best supporters in the world.